Purple Cows in the Winter Share! 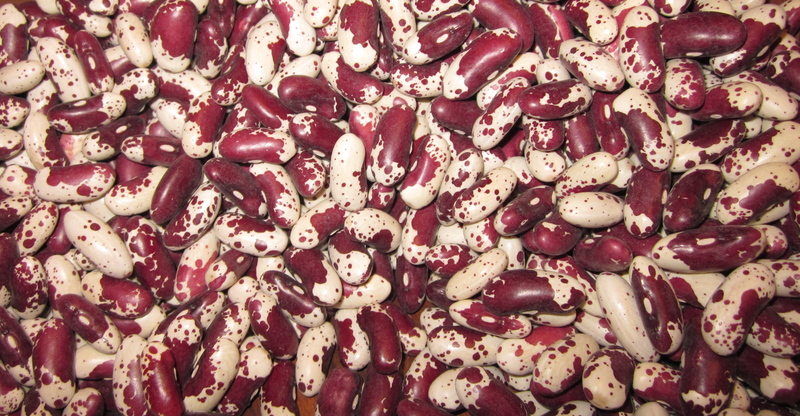 Next week Charley Baer hopes to harvest the heirloom Jacob’s Cattle beans he’s growing for the Shared Harvest CSA. So there you have it, the reason for the one pound bag of purple cows you’ll find in your Shared Harvest CSA share this year! I discovered Jacob’s Cattle last year. And I am looking forward to receiving the beans in our share this fall.